Tim Cook of Multi-Level Healthcare Information Modelling (MLHIM.org) interviewed Alex Fair in April, 2013. Tim pioneered the MLHIM concept, which is an approach to creating portable concept definitions based on XML Schema in order to facilitate semantic interoperability across the healthcare domain. He also is a pretty good interviewer. Great questions. He also had great audience support and questions from Scott Scowcroft (@sm4hc on twitter) who also stars in this video and made this highlights reel. Thanks Scott & Tim! 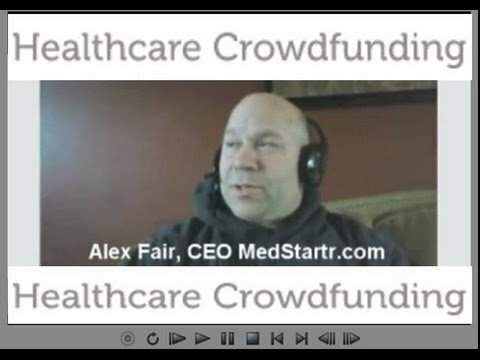 Alex discusses how healthcare crowdfunding works, our various levels of service, the aspects of a successful project, and where we are going with all this. Enjoy!